REDUCED WEDDING PHOTOGRAPHY PACKAGES FOR 2013!!! I have reduced my Wedding Photography packages for 2013.
a half day shoot is now only £349 with an edited CD & 100 5X7 prints. 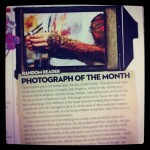 I got Skin Deep photo of the month with my image of Tattooer Jack Newton. Skin deep magazine photo of the month.